A mom’s first Mother’s Day is an exciting one. Becoming a mother is a magical, exhausting, and ever-changing time in a woman’s life, and the new mama (or mama to be!) deserves to be celebrated. Whether the mom in your life is expecting her first bundle or the baby has already arrived, Daily Mom has you covered with all the best gifts for new and expecting moms this Mother’s Day. From maternity wear to nursing gear, diaper bags to beauty must-haves, we have everything the new mom in your life could want this Mother’s Day. Regardless of age, every new mom will love skin care products that keep her looking younger. 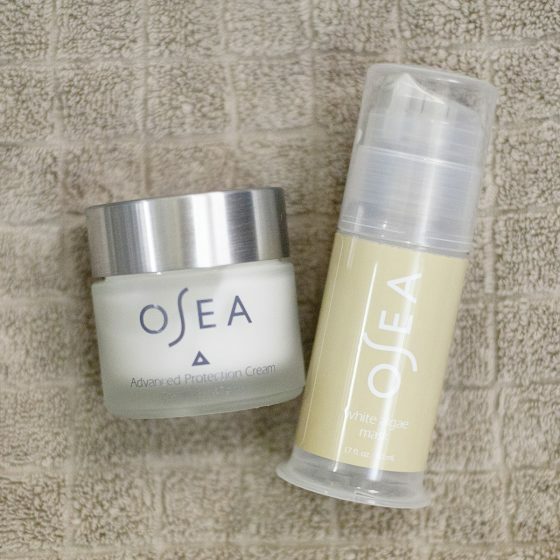 The intensive anti-aging formulas offered by Osea are perfect for Mom this Mother’s Day. If Mom is looking to maintain (or get back) the natural radiance she remembers having before giving birth, consider the Natural Luster Set. It provides maximum moisture and gives new life to her skin. Undaria Argan Oil leaves skin glowing, while the Ultra-Rich Advanced Protection Cream hydrates and reduces the appearance of fine lines and wrinkles. Some say that the wrinkles around our eyes are signs of wisdom, but not every mom sees it that way! 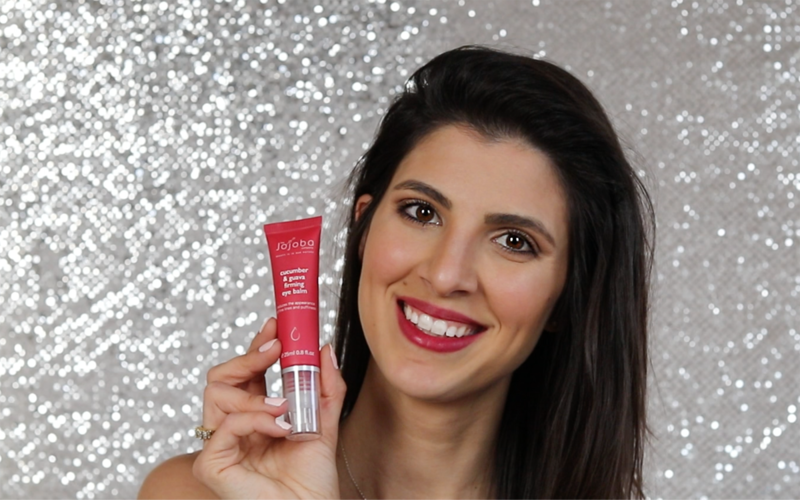 The Eyes & Lips formula brightens and hydrates the delicate skin around the eyes and lips. DPHP is an amino acid compound that smoothes fine lines and wrinkles and fades hyperpigmentation to keep skin looking more illuminated. Macadamia and Avocado oils will keep her skin soft. Mom will love the White Algae Mask and Brightening Serum, as they work together to restore the youthful glow she had back before . . . well, before motherhood! The Brightening Boost Set includes both products, featuring a collection of natural resources, combined with Vitamin C that will leave her looking radiant. 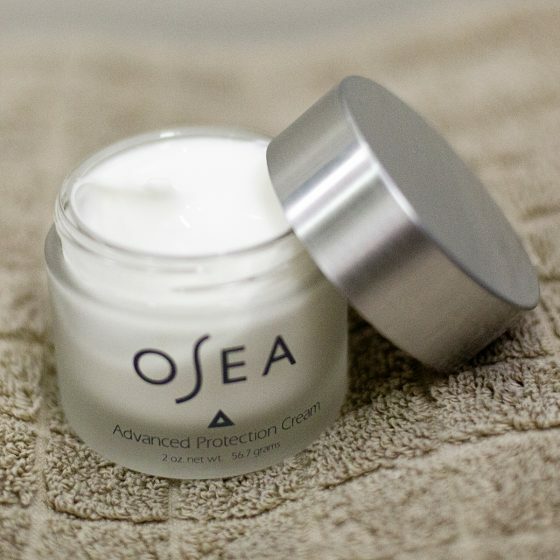 The sea is the primary source of ingredients and inspiration for the Osea line of skin care products. The business is a family affair and has been since it was launched in the 1990s. 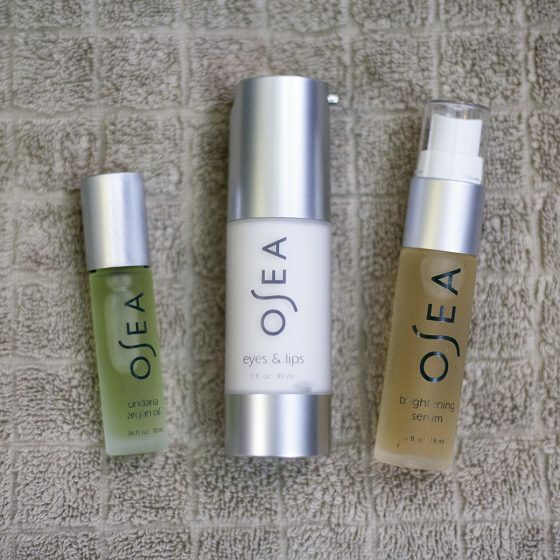 Osea is commited to natural, non-toxic ingredients, crafted without harm to the health of our environment. All products are plant-based, vegan conscious, and packaged in recyclable glass bottles. They want to leave this planet a cleaner place and allow women to use the safest cosmetics possible. Milk & Baby combines fashion with function to create everything you need for your maternity and nursing wardrobe. With unique, stylish, and practical pieces to start (or update) your maternity and nursing wardrobe, there’s something for everyone at Milk & Baby. The So Soft Three Ways Maternity Nursing Wrap is about to be the most practical item in your closet. 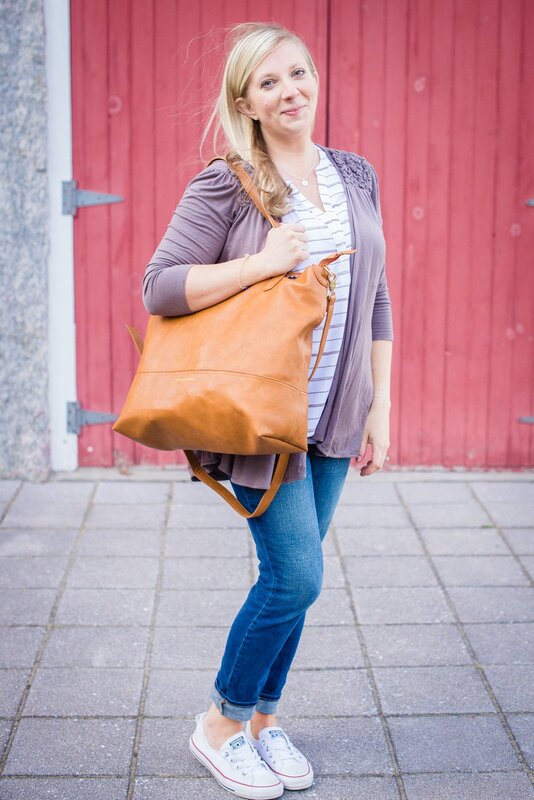 Perfect for pregnancy, nursing, and post-partum, this wrap-style cardigan is not only flattering, but the striped fabric is buttery soft, stretchy, and goes with so many different outfits. Its versatile design allows it to be worn three different ways  as a wrap top, an asymmetrical wrap top, and as a cardigan. This maternity must-have transitions seamlessly into post pregnancy wear, especially if nursing is in your future. This no-hassle top makes breastfeeding a breeze; you dont have to worry about throwing on a nursing cover, because this top provides plenty of privacy. If youre trying to stay active while nursing, you no longer have to sacrifice style for convenience. The Loose Fit Nursing Tank not only makes breastfeeding simple and easy, but its smart design provides you with support, comfort, and style all in one. With its dual layer design, this top features a loose tank with a built in crop top for extra support. Its stretchy, breathable fabric wont leave you feeling too constricted. This will be your new go-to athletic top, and youll want one in every color. Prepare to look gorgeous in this Pleated Flowy Nursing Top. The pleated detail is flattering on any figure, and ideal for a post-pregnancy belly. The super soft fabric provides the ultimate comfort of you and baby. Some nursing tops can feel cumbersome, but the discrete nursing slits hidden under the pleats offer easy access in a snap. Brighten up your wardrobe with a pop of color like green or teal, perfect for summer! Everyone needs a basic tank in their wardrobe. 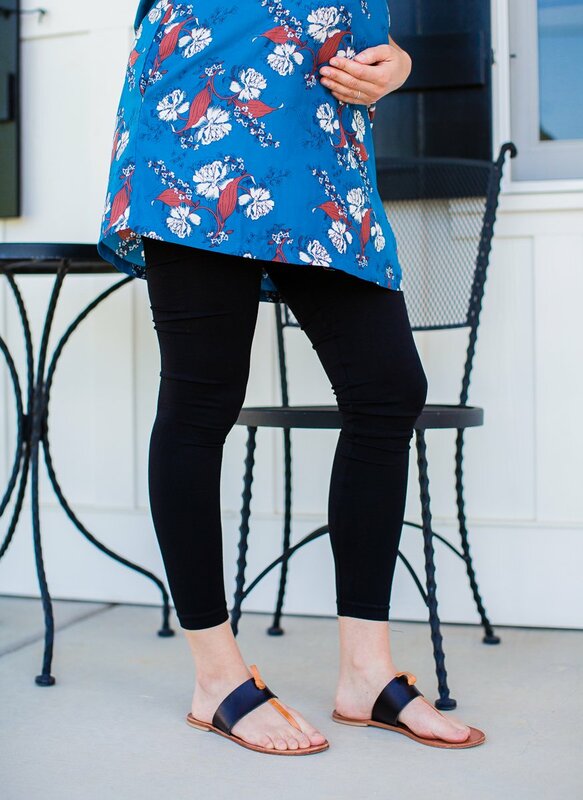 Pair this Nursing Tank with jeans and flats for a casual shopping day, or dress it up with a statement necklace and heels for dinner with your hubby. A simple, black tank matches everything, and can be worn on its own or layered with a cardigan (ahem, like the Three Way Wrap!) and will never let you down. This Snap and Go tank design features super soft cotton and a full inner panel that allows you to breastfeed discretely and comfortably. 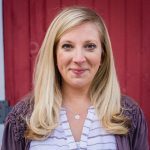 Milk & Baby was created in 2011 by Kim Inge and Beth Knockwafel, two nursing moms who had a hard time finding cute nursing bras and clothes. Who better to offer garments for nursing mamas than two nursing mamas? 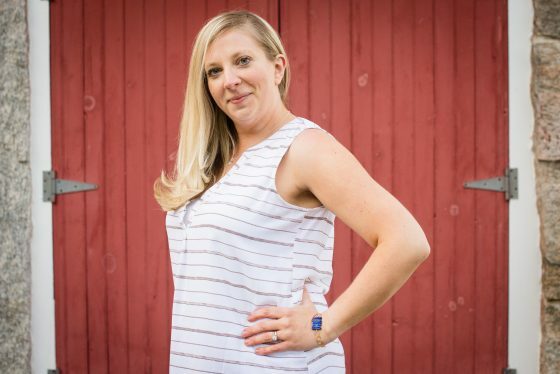 Milk & Baby started as a nursing wear store, but they saw the need to expand their line with labor and delivery items, as well as kangaroo care  two options that fit perfectly into a new mom’s wardrobe. All of their garments are hand-picked for new moms that offer both style and functionality. 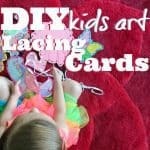 Being that they are moms, they have moms in mind when curating their unique collection of items. Whether its clothes for labor, tops for skin-to-skin, or clothes that you can easily nurse your child in, Milk & Baby has you covered. For those moms with new babies who struggle to get everything done, give them the gift of safely docking their tot for a while while they shower, wash dishes, or work on the laptop. DockATot is every mother’s dream for their new baby, thus making it an ideal Mother’s Day gift! This modernly designed plush, cocoon styled docking station is a great place for baby to rest, change diapers, play, or practice tummy time, all while making them feel calm and loved in this cozy space. The Deluxe+ Dock is for babies 0-8 months old or 5-22 lbs, but don’t cry yet, there is a larger version for when your baby outgrows their first DockATot. 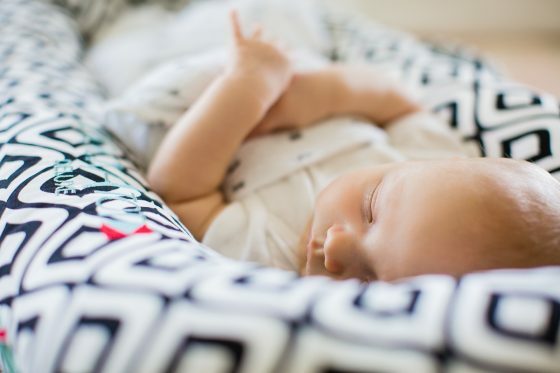 With a variety of different covers to choose from, your DockATot can easily fit your decor and personality, making it one of those baby products that doesn’t stick out like a sore thumb. They are lightweight and portable, making it convenient to bring to Grandpa’s house or move from room to room. 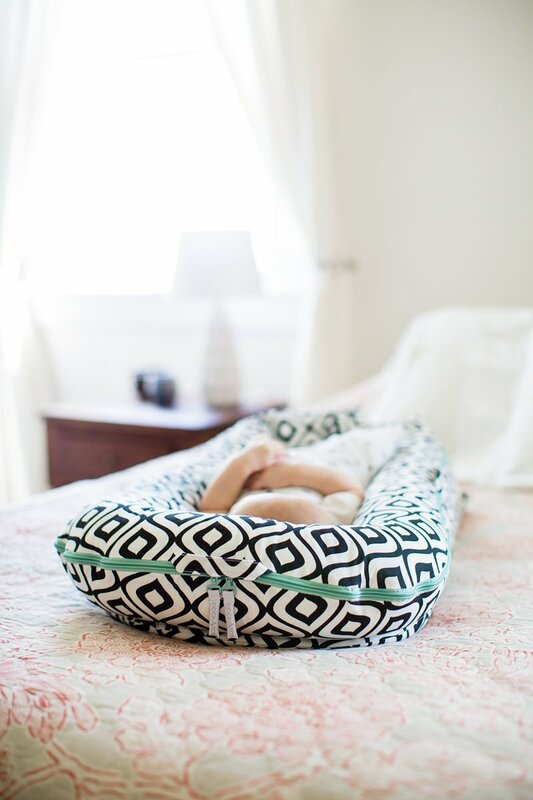 This Swedish born product came from the mind of founder Lisa Furuland, after her first child was born and she was unable to find a baby lounging product that she loved. 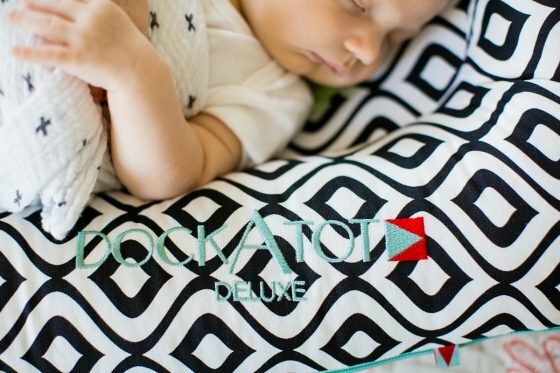 With her creative and design background, she created DockATot, named after the docks in the small seaside town she was living in that were seen as safe harbors. She wanted a “safe harbor” for children to rest in during the day that was stylish and practical. 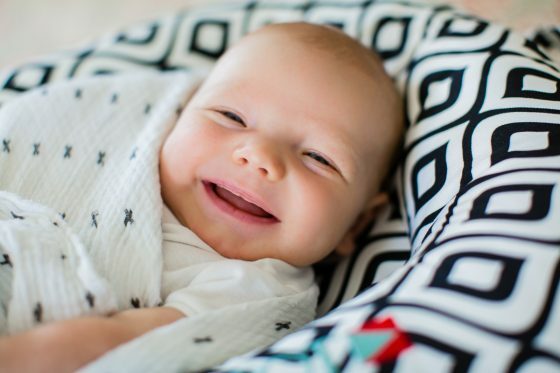 Today, DockATot has expanded from their original product into a collection of safe, multi-functional products for babies and young children to lounge, play, and snuggle in. Could we love a diaper bag any more than the diaper bag? Nope. This bag is incredible. It has it all. 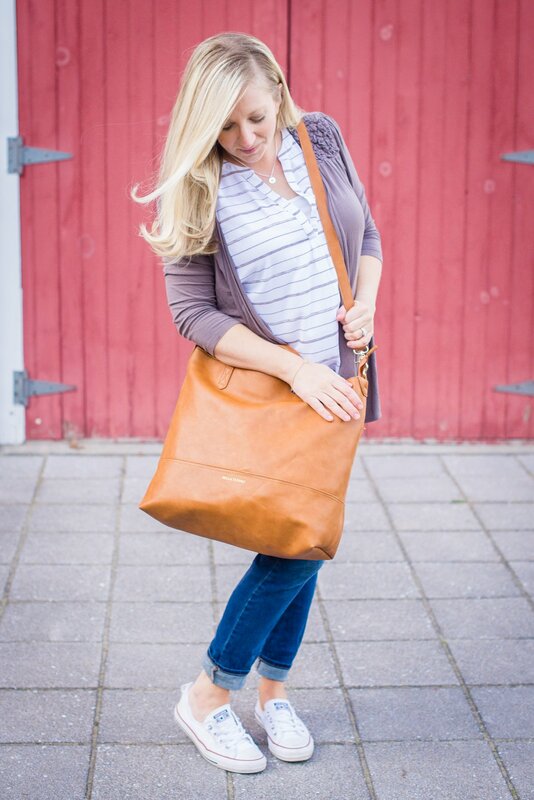 Luxurious, durable vegan leather, multiple compartments, shoulder straps, cross-body straps, stroller straps, and so. much. space. 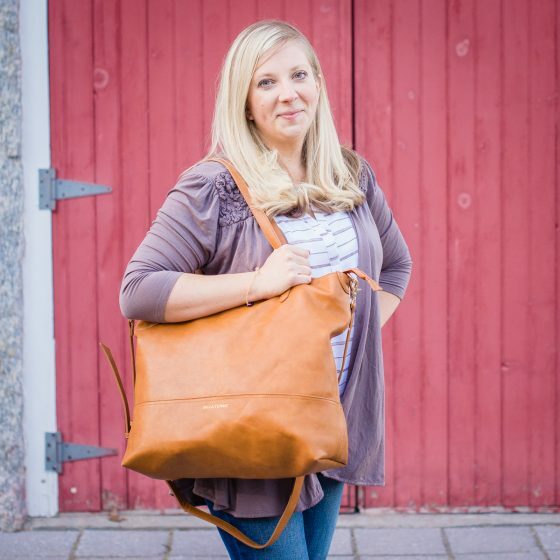 Whether you’re a mom of multiples, or simply love to be prepared with a fully stocked diaper bag, this is the bag for you. 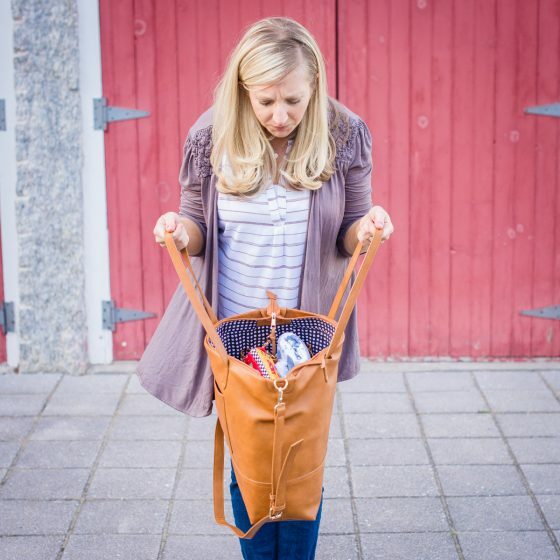 We were astonished at how much the 16×18 Boss Bag could easily fit (and we really put this to the test, with a mom of three! ), and even more surprised at how incredibly stylish this bag is. You’d never ever guess this was a diaper bag, and it absolutely looks like a bag you would have fallen in love with pre-kids. 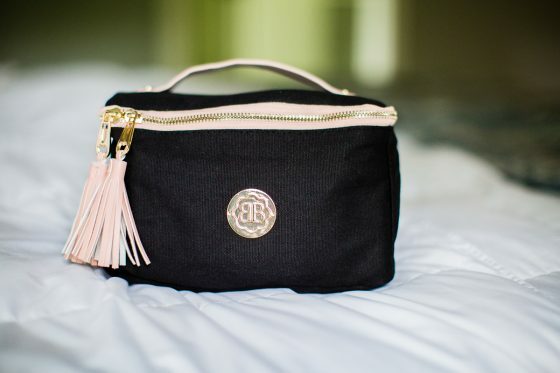 It comes complete with the Mini Boss Diaper Clutch, which is perfect when you need to pack a few simple things for an errand, as well as a little matching zippered pouch to throw in some makeup, cash, your phone, or whatever other little goodies your heart desires. 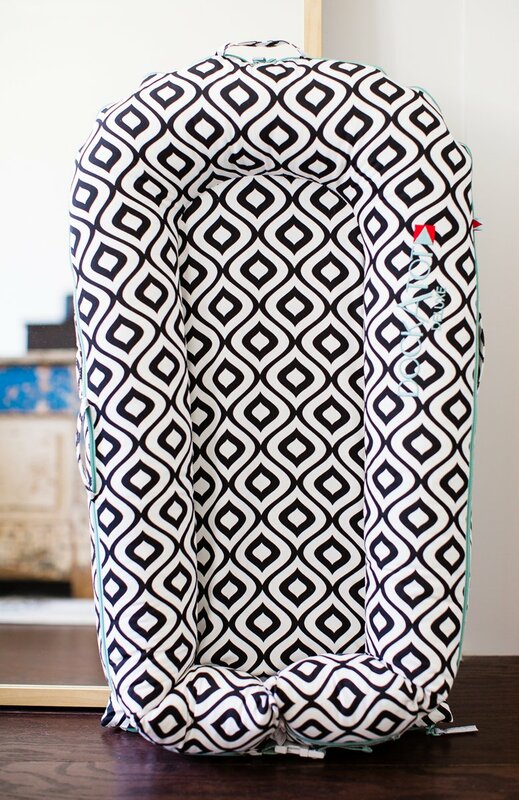 The inside features pockets going around the entire bag, and the exterior has a large pocket for your phone or keys. It’s Mother’s Day. Treat yo’self. We can guarantee you won’t regret having the Boss Bag in your life! Bella Tunno began ten years ago, when its founder lost her beloved brother. This tragic event inspired her to begin living life to the fullest, celebrating every moment. 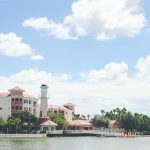 The founder, Michelle Tunno Buelow, believes that we should do better, live brighter, love bigger, and that life should be colorful, and Bella Tunno represents all of those sentiments. 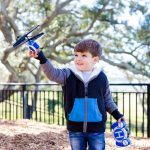 With bold colors and unique twists on classic baby gifts, Bella Tunno is taking the baby world by storm, and has gathered a celebrity following along the way. The company does a lot of philanthropy, and it’s one of the cornerstones of the work they do. For every product sold at Bella Tunno, they give away one meal to a person in need, and to date, they’ve donated over 600,000 meals. Perfect for pregnant or breastfeeding moms. If you’re a new mom, raise your hand if your friends and family showed up at the hospital or your home, with arms full of gifts for your newborn. While we always appreciate generosity and a thoughtful gift, it’s also nice to receive something for us – new moms did just give birth, after all, which is no small feat. 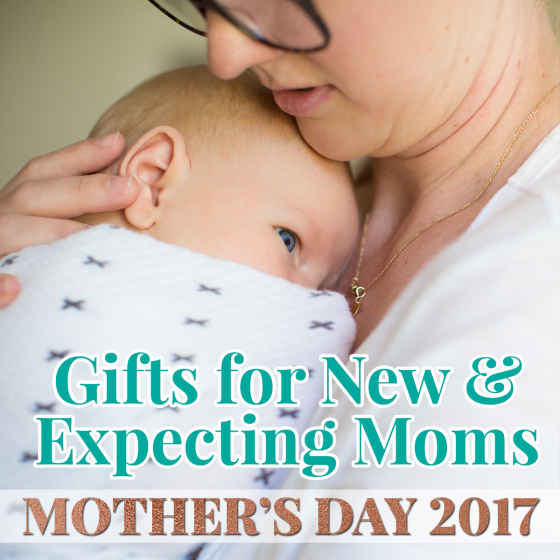 Treat the new mom in your life (or yourself!) to goodies from Cake Maternity this Mother’s Day. We promise you won’t regret it. Cake Maternity’s Rhubarb Torte pajama set (camisole and bottoms) are made from the softest modal fabric you can imagine. Modal fabric is known as one of the softest in the world, and these pajamas are no exception. We love that Cake Maternity designed these pajamas as a two-piece set, meaning, you can order a different size top than bottoms, if needed (for when that milk comes in!). Featuring straps with a little extra frill, and a lace detail around the bustline, these pajamas are cute and comfortable. Each strap unclips for easy breastfeeding access, and the sides of the camisole have rouching, which will accommodate your growing (or shrinking, postpartum) belly (did we mention these are maternity pajamas as well?). 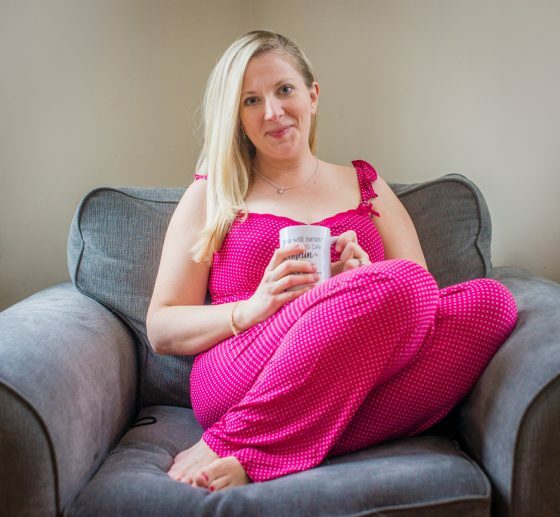 The pajama pants coordinate perfectly in a bright matching pink with white polka dots, and are low-cut with a wide waistband, designed to fit comfortably when pregnant or postpartum. The entire set would be amazing to pack in a hospital bag, or for lounging around the house, taking in those sweet moments nursing your new baby. Cake Maternity’s Milk Bamboo Sleep Bra is another favorite for maternity and breastfeeding. The fabric is softer than you can imagine, and features interior pockets where you can slip in some of their signature nursing pads. This sleep bra is much more substantial in terms of support and thicker fabric than other sleep bras we’ve tried, and we dare say you could even wear it out of the house. The racerback design has a cute criss-cross detail for visual appeal, and the front of the bra features cups that are easily pulled aside for breastfeeding, lined with a comfortable moisture-wicking mesh. Available in both navy (shown here), and mauve, you can select the color that you prefer. The fabric is a bamboo/nylon/spandex blend that’s Oeko Tek Standard 100, so you can rest easy knowing that it’s free of harmful substances. Cake Lingerie first introduced its award-winning, fashion-forward line of maternity lingerie and loungewear in 2008. 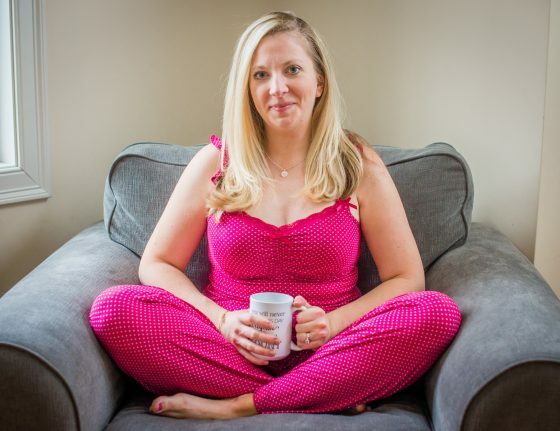 In 2014, the company rebranded as Cake Maternity to reflect an expanded range of collections designed to support the needs of pregnant and breastfeeding women. Through its strong commitment to quality, luxury, and fit, Cake Maternity continues to pioneer the future of premium, highly constructed and beautifully designed products for the maternity lifestyle. The ideal gift for making Mom’s mornings easier. Being a new mom is hard. If you are lucky enough to get to enjoy a long shower, chances are a blow out and styling session are out of the question. 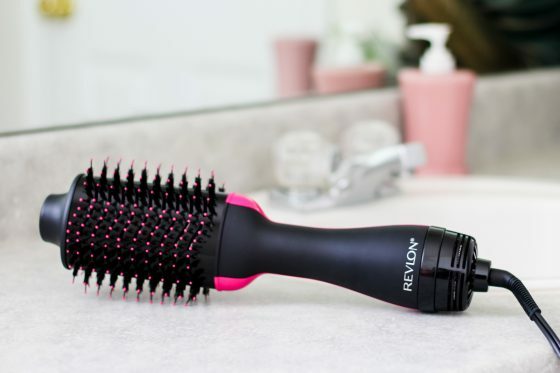 When you need to get ready in a flash, Revlon Hair Tools are the perfect solution for solving all your getting ready woes, all while helping you look like you had a full morning of beauty rituals. Every mom could benefit from a few extra minutes back in her day, but new mom’s understand this dilemma better than most. “If I blow dry my hair is it going to wake the baby? If I go far enough away the baby can’t hear, am I going to hear her when she wakes up?” Time to herself is likely the last thing on her mind. 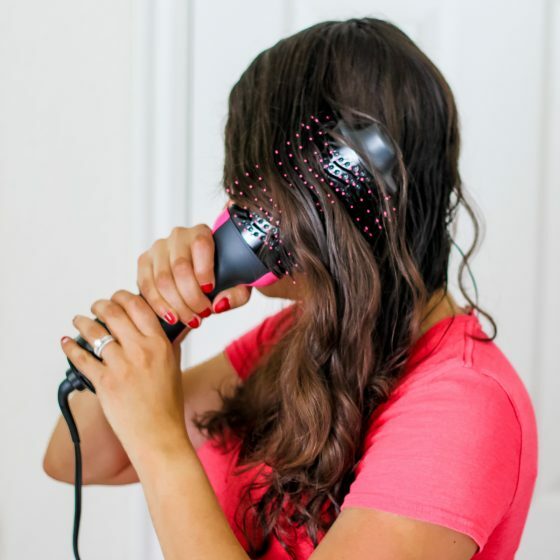 Revlon’s One Step Hair Dryer and Volumizer allows her to get ready twice as fast, without compromising on feeling ready to face the world outside the house. 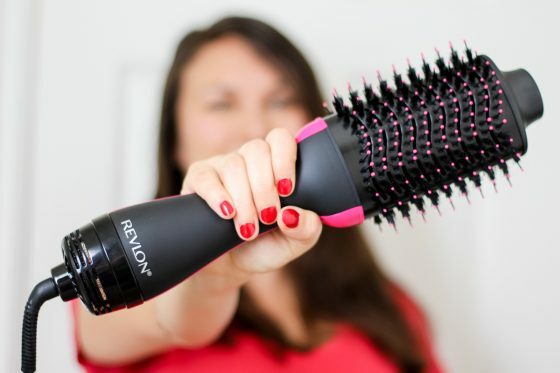 By combining an oval brush with hair drying, Revlon developed a tool that cuts getting ready time in half. 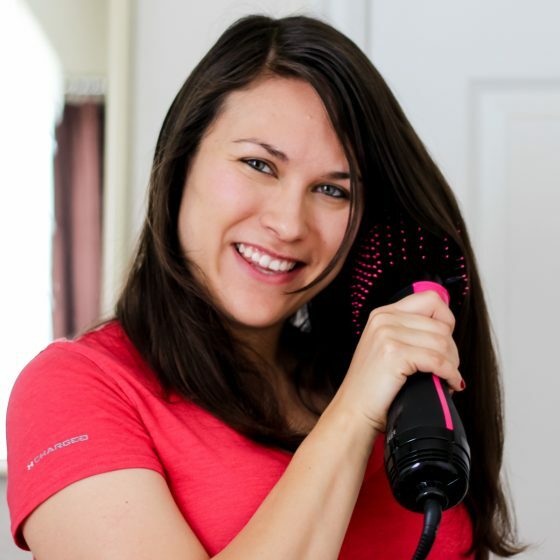 This all-in-one hair tool creates frizz-free volume and full bodied curls in a single pass, without needing a counter top full of styling products. With a professional swivel cord, Mom can dry her hair, while keeping an eye on the bassinet behind her, and the ceramic coated barrel helps protect hair from heat damage. 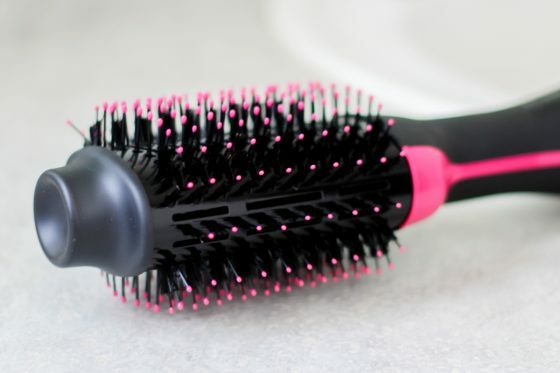 Ceramic styling tools spread heat easily throughout the entire brush, preventing the concentrated heat that can result in split ends. Healthy hair means that no matter how long it’s been since her last trip to the salon, she’ll feel beautiful. Revlon has been innovating beauty since the 1930’s, providing women around the world with products that are the most technological on the market. Over the last 80 years, Revlon has ushered in many of the leading trends in beauty, from launching the first multicolored nail polish to partnering with American icons, Cindy Crawford and Christy Turlington. As one of the most well known brands on the beauty market, Revlon is dedicated to providing high quality products at affordable prices. 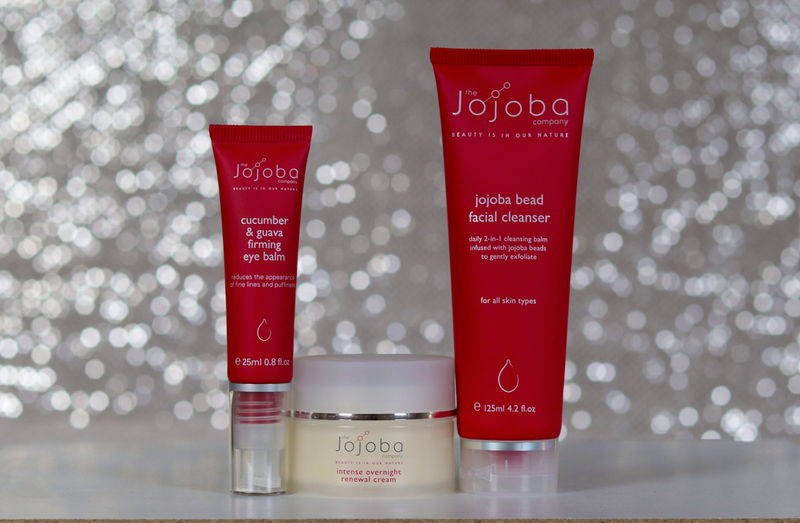 Get glowing skin with The Jojoba Company. With 100% natural Australian Jojoba, your skin will be hydrated, nourished, and rejuvenated. They are dedicated to creating products that promote healthy skin with anti-aging benefits. 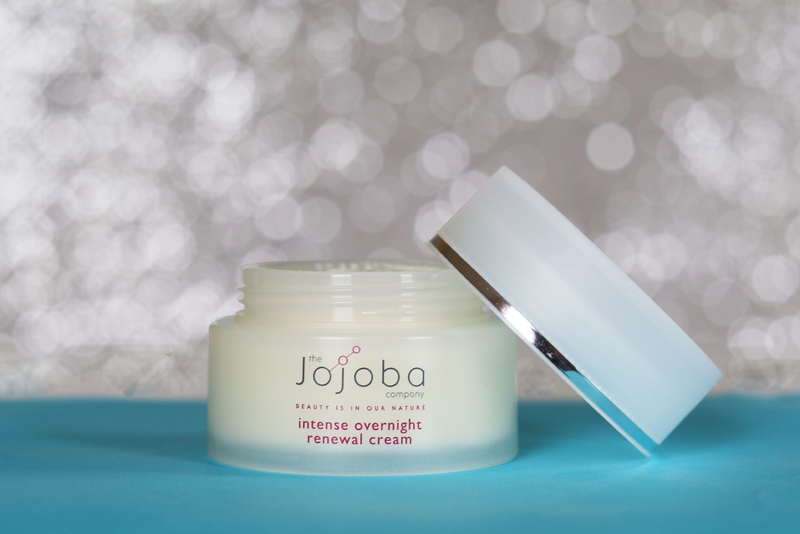 If youre in need of some serious hydration and replenishing ingredients, say hello to your new best friend: the 100% Natural Intense Overnight Renewal Cream. This cream is a powerful concentration of effective natural ingredients like Australian Crown of gold, marshmallow extract, and beta glucan, specifically formulated to nourish the skin. The hyaluronic acid gives the skin the ability to lock in moisture, keeping your skin supple, hydrated, and plump. This cream will not leave you feeling greasy like some intensive creams can, instead, it melts beautifully into the skin and absorbs overnight so youll wake with soft, nourished, replenished skin. This formula is free of harmful detergents, chemicals, parabens, artificial fragrances, colors, PEGs, mineral oil, sodium lauryl sulphate, and animal products so you know youre only getting the best, quality ingredients for your skin. The thin and delicate skin around the eyes deserves (and frankly, needs) some TLC to stay healthy and smooth. Use the Cucumber Guava Firming Eye Balm to reduce puffiness, fine lines, and dark circles. This formula is a careful blend of cucumber, guava, aloe vera, jojoba, and pomegranate, designed to cool and soothe your tired eyes. This balm will not only make your eyes look brighter, it is clinically proven to increase collagen production by up to 81% and elastin by 90%. This will keep your skin hydrated, strong, and more resilient, giving you beautiful, younger looking skin. 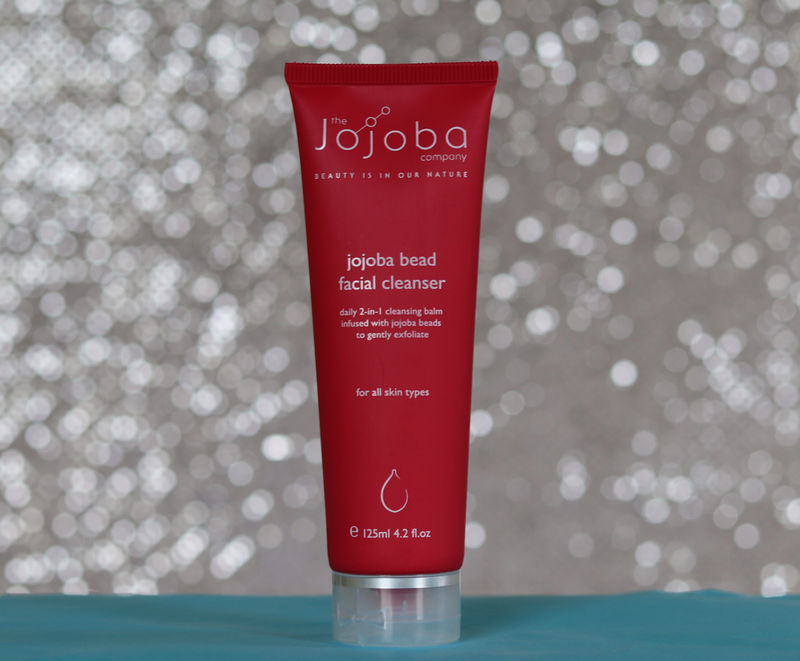 The Jojoba Bead Facial Cleanser is unlike other bead cleansers in that it does not use harsh and unsafe plastic particles. Instead, Jojoba uses 100% natural solidified jojoba beads that are perfectly safe and eco-friendly. These gentle beads exfoliate the skin while the hydrating Vitamin C, quandong, aloe vera, and Vitamin E dissolve impurities in your pores. Suitable for all skin types, you can apply this 2-in-1 cleanser and exfoliator daily for glowing, radiant, and luxuriously hydrated skin. The Jojoba Company was founded in 2008 by Ian Turner, a jojoba crop owner in New South Wales, Australia. Ian had a vision that his crop could revolutionize the skin care industry by using 100% natural jojoba as the key ingredient. His daughter, Vickie Engsall, shared Ians passion for jojoba and began to research the unique advantages of jojoba on the skin. Together, they created quality products naturally infused with hand selected organic ingredients from around the globe. These skin and body care products promote healthy skin with a strong focus on anti-aging. 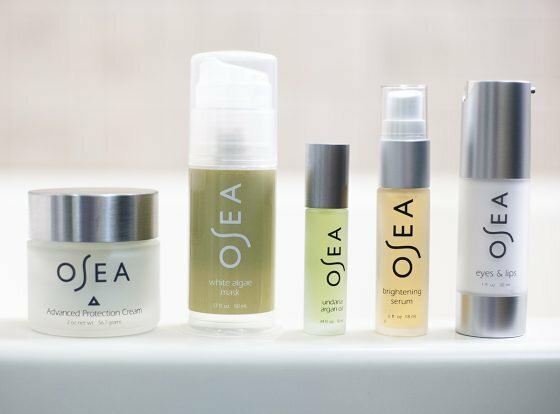 Instead of using chemical preservatives and synthetic ingredients, The Jojoba Company believes in quality, 100% natural ingredients that are good for your skin as well as the earth. Happy Mother’s Day to the pregnant moms who are still trying to button up their favorite designer jeans. It’s time to come to the realization that it’s just not happening anymore. But no fear fashion-forward ladies, Preggo Leggings has come to your wardrobe rescue for the next 9 months. For anyone who asks what you want for your first Mother’s Day, tell them you want Preggo Leggings. More specifically, the Green with Envy Moto, an uber comfortable pair of leggings that look like pants, but feel like heaven, with a high rise stretch cotton panel that will grow with you until that baby breaks free, and a skinny fit for trying to maintain the maximum smallness you can. The biker style details and neutral shade of green make these leggings unique and anything but bland. 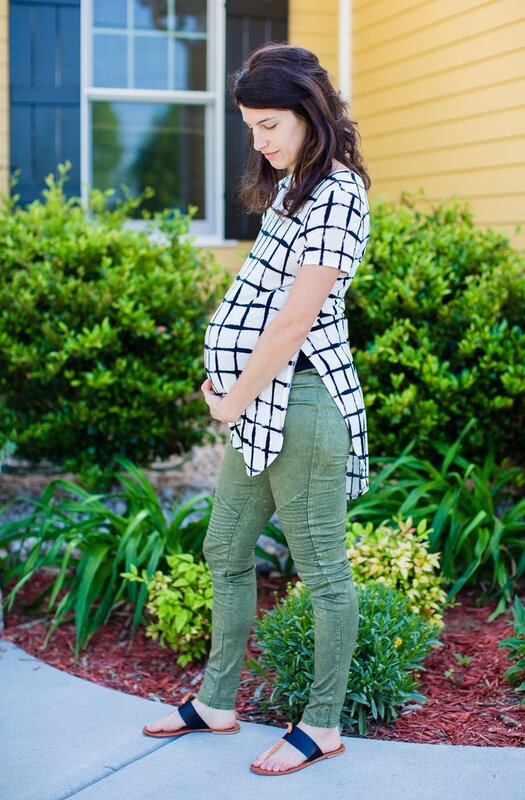 The Mom’s Night Out legging needs to be in your maternity closet as well. These solid color leggings feature a seamless over the belly design, that is simple to roll down when your belly slims down and roll back up after Thanksgiving dinner or a late night milk – for the baby of course – and cookie binge session. Super stretchy and available in oh so many colors for everyday wear, these leggings come in two sizes – how easy is that! – for a great fit for any size body. From the mastermind woman entrepreneur Uyo, who brought the world You! Lingerie, comes her second women’s empowerment company, Preggo Leggings. 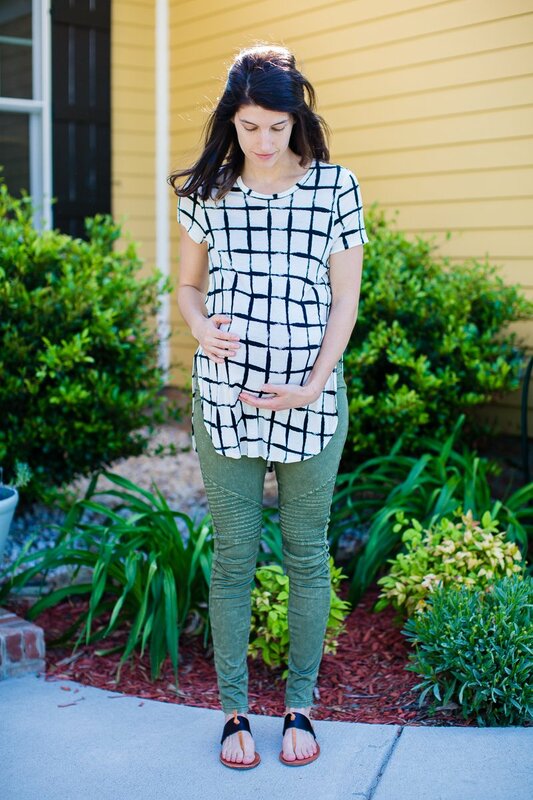 Not only does she bring pregnant and nursing moms stylish and functional nursing lingerie and loungewear, but now those same women can be outfitted with the ultimate in maternity leggings – and fun graphic tees. Here’s to wearing 9 months of fabulous clothing that doesn’t look at all like it should be branded maternity wear! Perfect gift for TTC, expecting, and brand new mamas – and heck, really any mom who wants safe and effective skincare products! The ultimate Mother’s Day gift for the mom in your life who just found out she is with child, already carrying a bundle of joy, or just delivered one is Belli Skincare’s Stretch Mark Protection Kit. 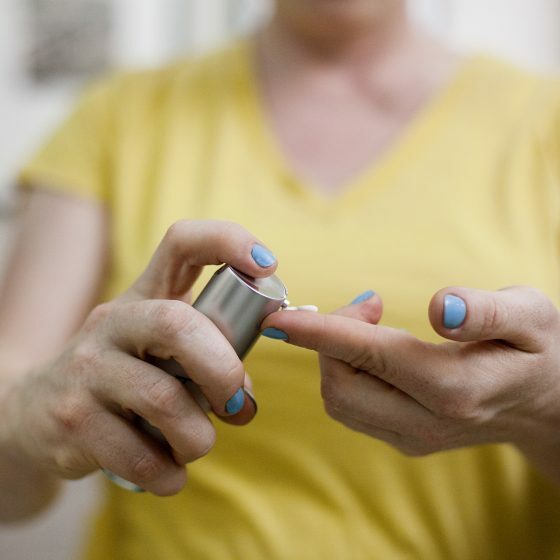 Every woman tries to prevent the dreaded stretch marks that pregnancy brings, and even though sometimes it’s just not possible, there’s no harm in trying. Belli Skincare has combined four of their amazing products into one bundle for an easy to use, pregnancy and breastfeeding safe skincare routine specifically targeted towards preventing those wavy indentations. Wash, prep, protect, and moisturize with the appropriate products, and not only will you help minimize any pending stretch marks, but you’ll be left with healthy, smooth, and beautiful skin. Born in 2002 out of a need for safe, yet effective skincare during pregnancy, this husband and wife team created the Belli skincare line, with each product deemed safe for use by pregnant women (and the sweet babies they carry) and recommended by OBGYNs and dermatologists. With Belli’s products allergy tested, free of all the yuckies – parabens, phthalates, artificial dyes, fragrances – and with researched ingredients for maximum efficacy, pregnant and breastfeeding moms everywhere can rest assured that they can still look and feel their best in their own skin. 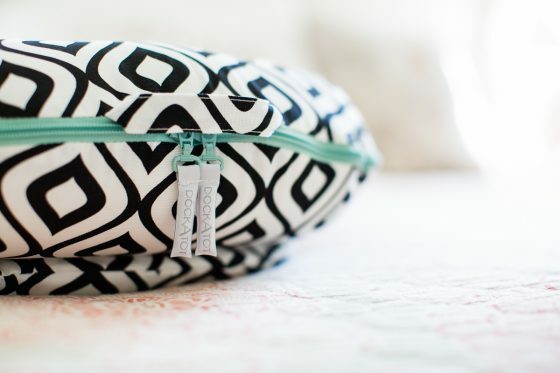 Perfect gift for pregnant moms who are packing their hospital bags for the big day! 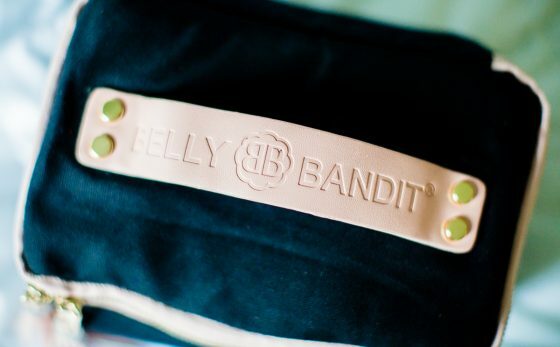 For those pregnant ladies who are gearing up for D-Day, the best gift you can give them this Mother’s Day is the Ultimate Labor and Delivery Kit by Belly Bandit. Labor and Delivery can be overwhelming, especially if it starts unexpectedly early. This L&D kit offers new moms a plethora of things she needs (even if she doesn’t realize it), giving her a great go-bag to start off with as she begins to think of what to bring with her for the big day. Belly Bandit was created by three sisters in 2008 who were passionate about helping new moms nurture and care for themselves. They created products that were specific to pregnant and postpartum moms that helped speed recovery, aid in healing, provide much needed support, and bring the beauty and confidence back that these moms were missing. They are most well known for their post-pregnancy shape wear collection that is highly recommended by healthcare professionals, fitness gurus, and of course, mamas. Today they offer all kinds of products from skin care and intimates to their beloved belly wraps and bundles. Perfect for moms who love unique pieces of jewelry. Every mom loves a unique piece of jewelry, so why not treat the new mom (or mom to be) in your life with a piece that marks this special occasion. 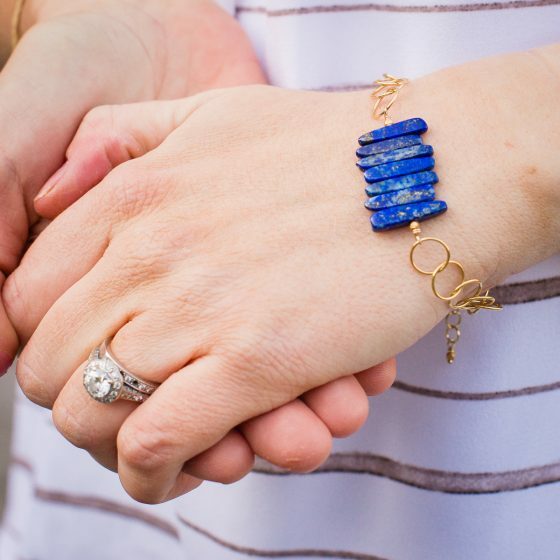 Isabelle Grace has a wonderful collection of pieces to choose from for this Mother’s Day, but we especially love their Blue Lapis Fragment bracelet. It is delicate enough to mark a significant event like new motherhood but versatile enough that she will want to wear it everywhere. We all know a person who has an enviable jewelry collection, full of pieces that are truly unique, and unlike anything we’ve seen before. The Blue Lapis Fragment bracelet from Isabelle Grace Jewelry would be the perfect addition to her collection, featuring a delicate 14k gold filled chain (also available in sterling silver), and absolutely stunning deep blue lapis stones with sparkly gold, light-catching flecks throughout each stone. 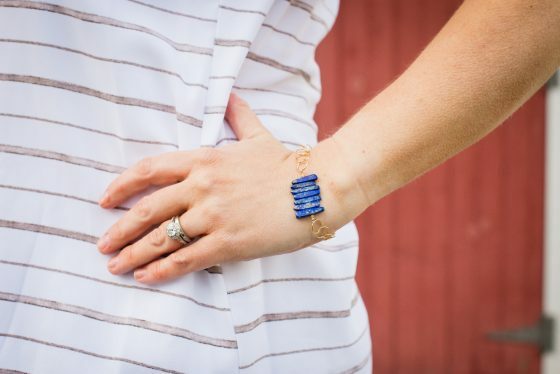 The bold cobalt blue stones somehow match nearly everything you pair this bracelet with, and this bracelet would be the ideal finishing piece to a summer outfit (particularly anything white!). Each loop in the chain has a hammered texture, adding even more visual detail to this gorgeous bracelet. Blue lapis is known for bringing self-awareness and enlightenment, as well as purifying and healing. What better gift could you give Mom than that? Isabelle Grace Jewelry began as a project from the heart. The creator, Claudia, was inspired by a gold locket that her grandmother wore, with a photograph of her grandfather inside. Claudia loved how personal and touching that was, and set out to create a line of jewelry with that same feeling behind it. The pieces in the Isabelle Grace Jewelry collection are designed from the heart, one of a kind, and are hand crafted in the United States. A mom’s first Mother’s Day is a memorable one. Whether her baby is in her arms or still in her belly, her new found role of motherhood should be celebrated. 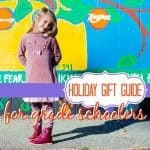 Daily Mom has found some of the best gifts for new and expecting moms this year – gifts we know she will love and appreciate just as much as you love and appreciate her. 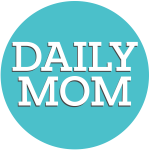 So be sure to celebrate your love’s first Mother’s Day with these gift ideas from Daily Mom! 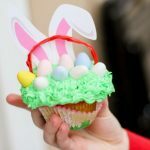 An Edible Easter Basket: Yum! 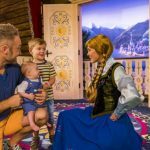 How Young is Too Young for a Visit to Disney?